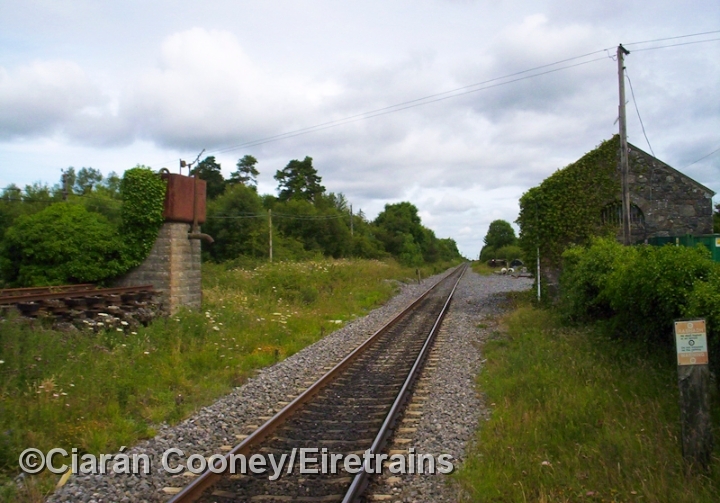 Foxford, Co.Mayo, is now the only intermediate station open on the Midland Great Western Railway's 1876 built line from Manulla Jct on the Wesport line, to Ballina. 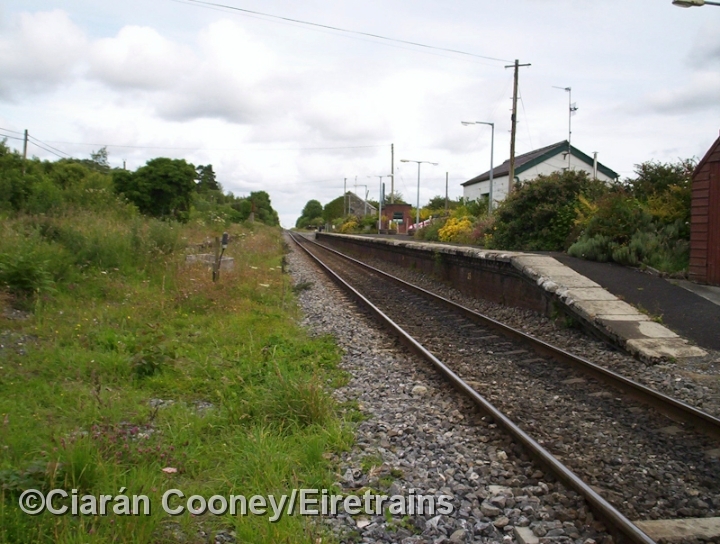 The station which opened with the line, once had up and down platforms, but was closed in June 1963 along with Ballyvary. 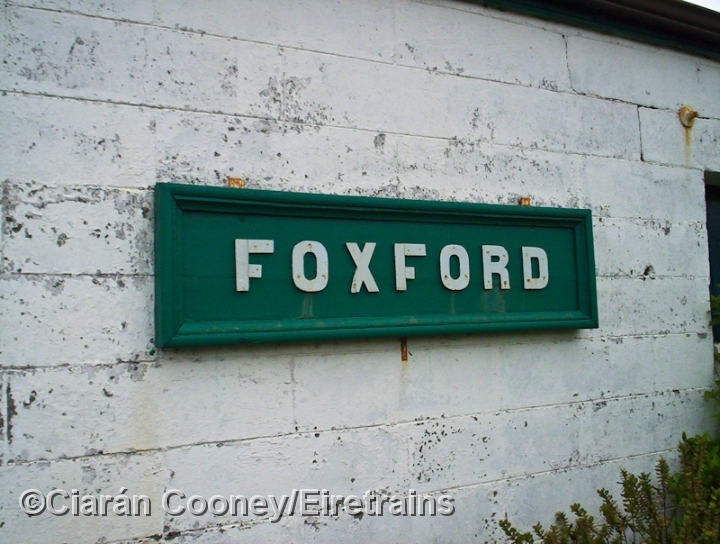 In November 1988 however, Foxford Station was reopened. 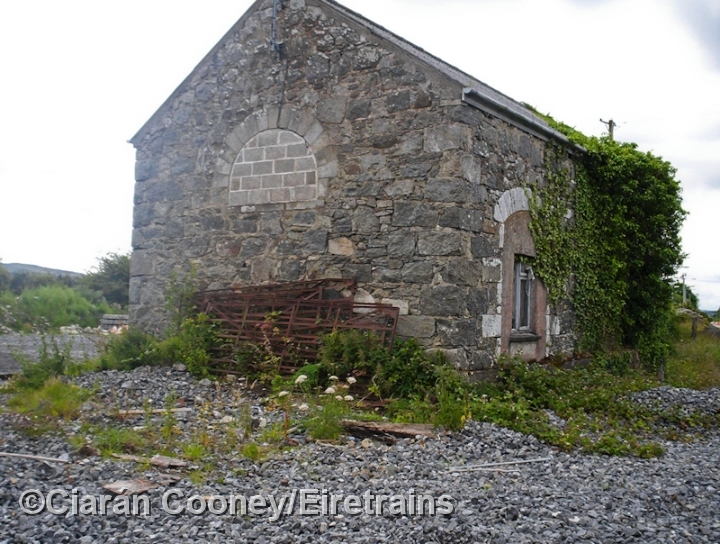 Today, only the up platform remains in use, complete with its small single storey station building, which retains its pre-1925 MGWR name board. 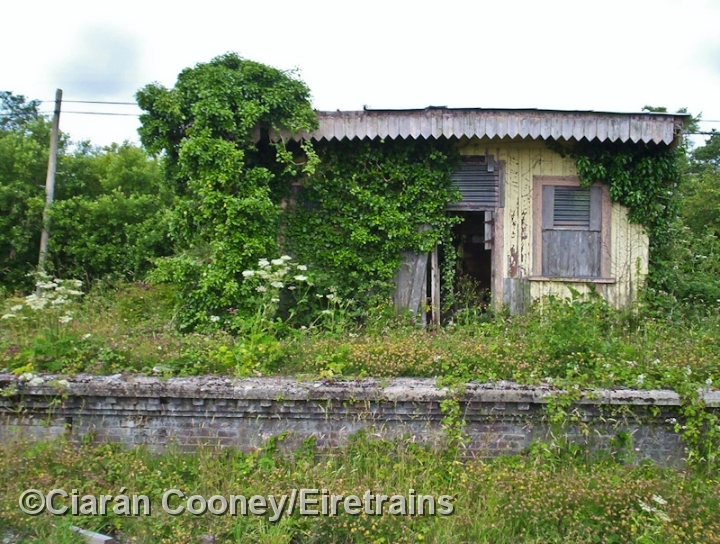 The derelict up platform retains its wooden waiting room and water tower, while at the north end of the station is the small goods shed. 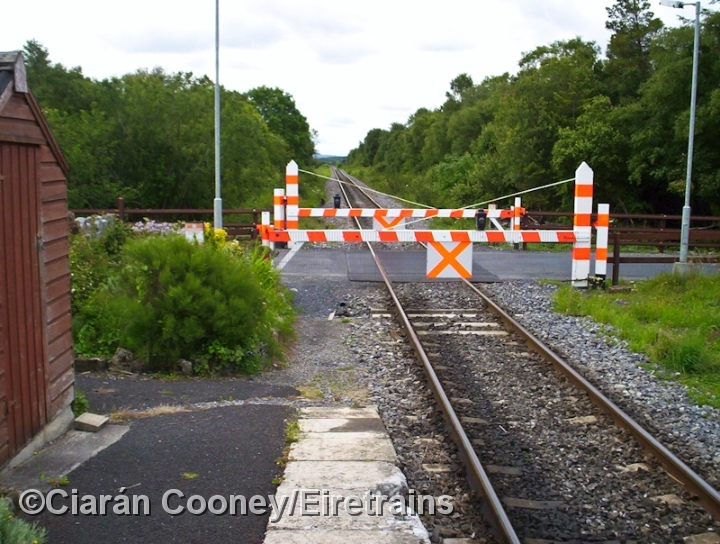 The crossing gates have since been automated with CTC signalling upgrading and now diesel railcars operate most services on the Ballina branch.